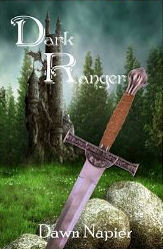 Dark Ranger is the first book in the Many Kingdoms trilogy, a familiar fairytale world of monsters and wizards, evil and magic. Garrett is a Ranger of the Light, a sworn guardian of the natural world and its inhabitants. His duty is to root out evil and destroy it before it can destroy the land he cherishes, but he finds it difficult to identify that evil in himself. His heart is broken by the brutal murder of his beloved, and his thirst for revenge leaves him vulnerable to the manipulation of the blood-wizard, Scythe. Fellow rangers Wren and Nolan are determined to reclaim their friend's soul and bring him back to the Light. They are aided by a wandering dwarf and a wild fairy who longs for humanity. But as the companions discover, even magic can't save someone who doesn't want to be saved.